The new 2016 Renault Megane gets back to what this company does best: eye-catchingly stylish family cars that are comfortable on the move and packed full of equipment and technology. There's a good range of efficient engines, but we have some reservations about the car's practicality. 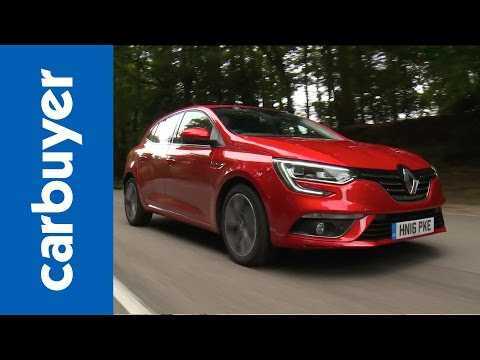 SUBSCRIBE to Carbuyer for new videos every week: http://bit.ly/17k4fct Watch our latest video: http://bit.ly/carbuyervideos New Renault Megane hatchback review: http://carbyr.uk/1YatH1M New Renault Megane specs: http://carbyr.uk/2aRXR7k Vauxhall Astra hatchback review: http://carbyr.uk/1OAodTD SEAT Leon hatchback review: http://carbyr.uk/1M387jH Follow us: https://twitter.com/CarbuyerUK https://www.facebook.com/CarBuyerUK Subscribe to Auto Express magazine: http://subscribe.autoexpress.co.uk/cb Carbuyer makes car buying simple. We're the only automotive brand that's approved by the Plain English Campaign, delivering you clear, concise and easy to understand information about the things that really matter when you're choosing - and buying - your next car. http://www.carbuyer.co.uk Every week, Carbuyer's YouTube channel brings you simple and entertaining reviews on every major make and model that's available for sale in the UK. Plus you'll find frequently-updated top 10 features and the occasional group test for good measure. If you want even more helpful information, head over to Carbuyer.co.uk where you'll find in-depth reviews of more than 500 cars, alongside the best buying advice and dozens of features helping you to narrow down your car buying shortlist. 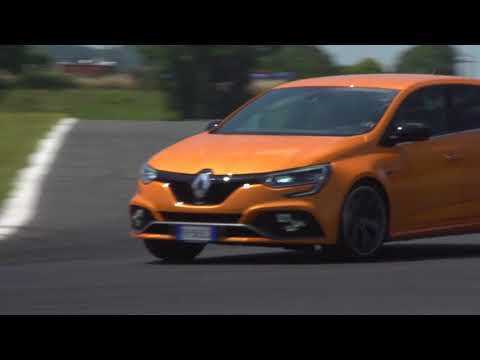 "Renault launches the new MEGANE R.S., with the 280hp Renault Sport engine, a sporty look and technology on board, destined to conquer high-speed lovers. Presented at the Frankfurt Motor Show in September 2017, the third generation of MEGANE R.S. is a concentrate of all the know-how and passion of Renault Sport. La Nuova Mégane R.S. sporting a sporty look thanks to the insertion of French design elements such as the RS Vision light signature, pushes on technology and comfort on board and on the driving experience thanks to the 4Control frame. It was created to offer all sports driving enthusiasts a car that features all the technological and comfort elements capable of maximizing driving pleasure. Furthermore, Nuova Mégane R.S. it is proposed in two frames: Sport and Cup that allow you to choose between two types of behavior: Sport chassis, effective on the road, gives the car greater versatility on all types of road coatings. It introduces new shock absorbers and an electronic torque distribution system. By acting independently on the brakes of the drive wheels, this technology allows you to limit understeer and optimize traction at the exit of the curve. Cup frame, suitable for intensive sports use and in particular for track rides. It offers stiffer shock absorbers of 10% and a new limited-slip Torsen mechanical differential. The main innovations are represented by the 4Control chassis with four steering wheels and the EDC automatic transmission with lever on the steering wheel make the driving experience sensational. The Renault Multi-Sense system with RACE mode and the New RS Monitor are the technological innovations on board. The RS Vision luminous signature and the front design with the F1 lamina lend character and enhance its sporty look."